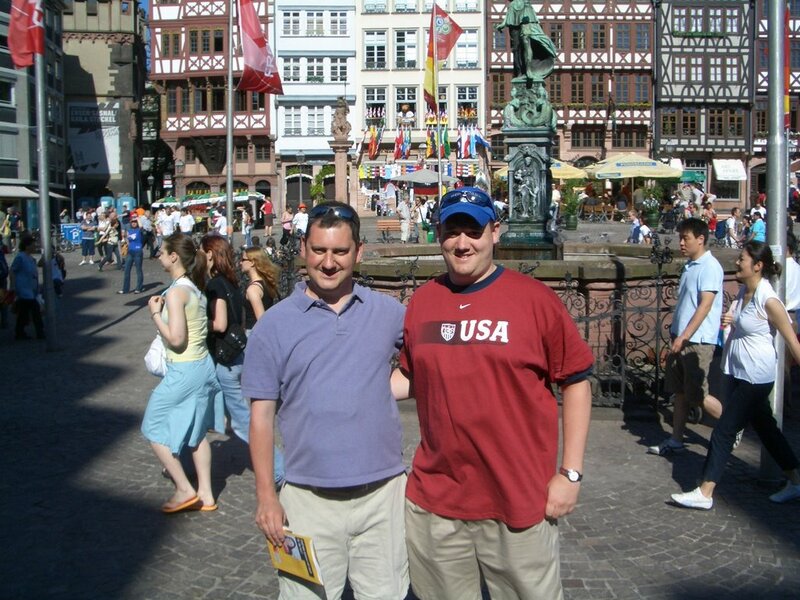 Frankfurt's historic main gathering place, the Romerberg, was our final stop for the day. Fans from England had gathered and were certainly enjoying themselves. After 27 straight hours awake, it was time for bed. After being awake for an entire day and then some, we were pretty tired at this point. 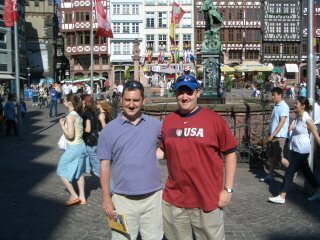 The sights and sounds of the Romerberg, especially the Brits, made me realize how much fun lay ahead of us in Germany.